A full house is captivated by Michel Rojkind, Design Principal & Founder, Rojkind Arquitectos, Mexico City, Mexico – he called it social reconstruction by creating open spaces and possibilities for interaction. Contributors to the panel discussion were members of the Board of the LafargeHolcim Foundation (l-r): Maria Atkinson AM, Founding CEO, Green Building Council of Australia; Harry Gugger, Professor for Architectural & Urban Design, Swiss Federal Institute of Technology (EPFL Lausanne), and Stuart Smith, Director, Arup, United Kingdom. 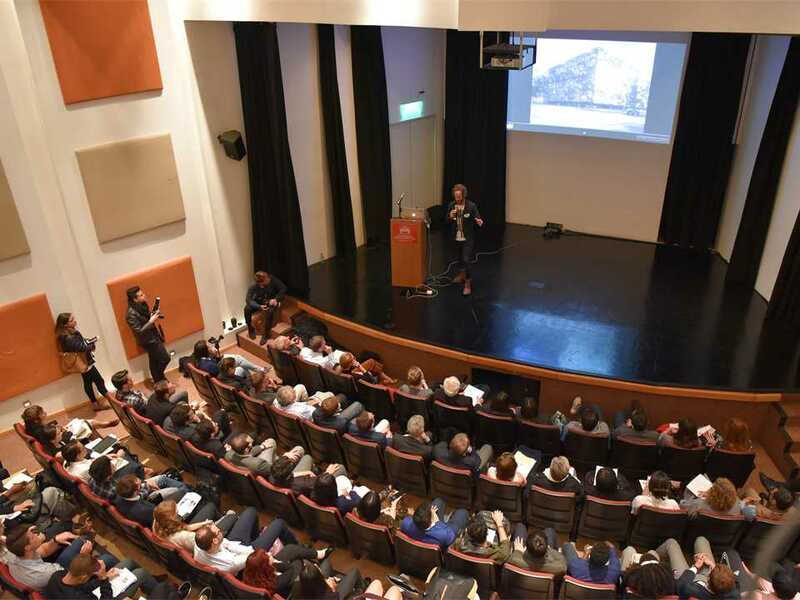 More than 50 young architects and engineers participated in the international LafargeHolcim Next Generation Awards Lab hosted by Universidad Iberoamericana (IBERO) in Mexico City. Representing 25 countries, they exchanged experiences and ideas on the future of sustainability in building and construction. 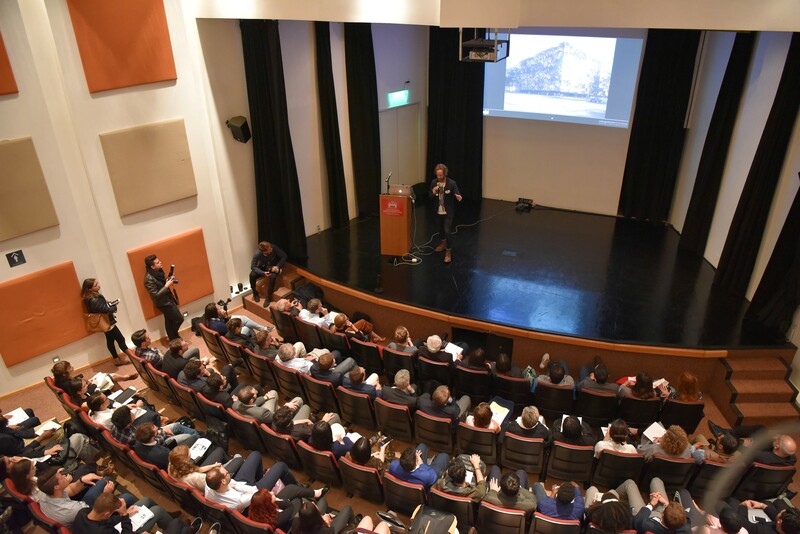 The students and professionals were inspired by introductory lectures by internationally renowned Mexican architects Tatiana Bilbao and Michel Rojkind, and IBERO Director of Architecture, Urbanism & Civil Engineering José Luis Gutiérrez Brezmes. 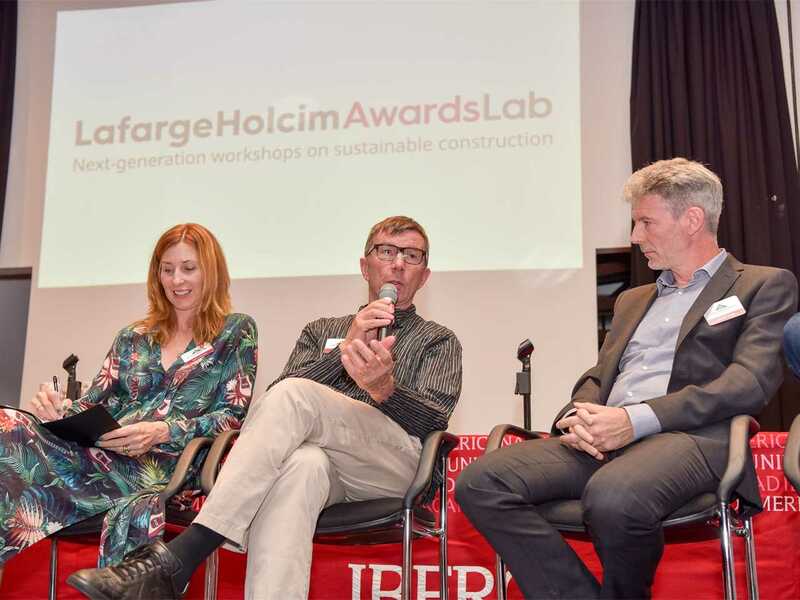 The winners in the Next Generation category of the five regional LafargeHolcim Awards competitions in 2017 were invited to the Awards Lab hosted by IBERO. The Awards Lab provided a platform to further develop cutting-edge projects and exchange ideas on the future of sustainable construction in concurrent workshops across scales from micro to macro. 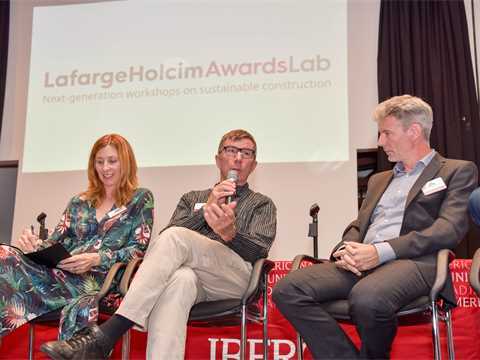 The workshops were moderated by members of the Academic Committee of the LafargeHolcim Foundation, supported by the Global LafargeHolcim Awards winners 2018, faculty members of IBERO, members of the Board of the Foundation, including Mexican architect Enrique Norten. The level of interest in the LafargeHolcim Awards by young professionals and students continues to grow. Maria Atkinson, Founding CEO of the Green Building Council of Australia and member of the Board of the Foundation emphasized that more than half of the 5,000 entries in the 5th competition were submitted by individuals and teams of authors aged 18-30 years. “Not only is there vibrant interest in the Awards from the next generation, their entries are of exceptional quality,” said Atkinson. This is underlined by the fact that Next Generation entrants scooped two of the three Global Ideas prizes 2018: Georgina Baronian, student at Princeton University in the USA, developed a prototype of a large-scale structure using water on the roof as a thermal insulator and solar reflector in one. The infrastructure-landscape project for the generation of electric power based on tidal currents at Punta Loyola in Argentina was developed by three students from the Universidad Nacional de Córdoba in Argentina: Stefano Romagnoli, Juan Cruz, and Tomás Pont. 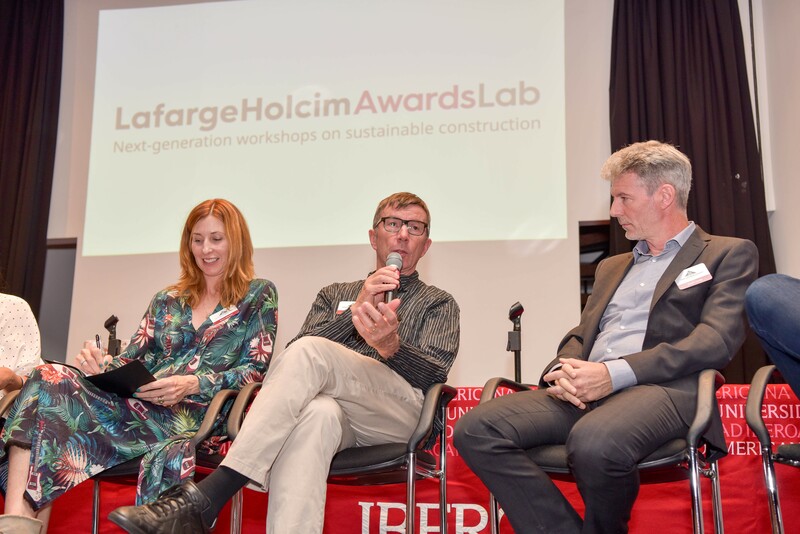 The LafargeHolcim Foundation was created in 2003 to raise awareness of the important role that architecture, engineering, urban planning and the building industry have in achieving a more sustainable future. It is an initiative of LafargeHolcim and expresses the company’s commitment to sustainable development. The 6th International LafargeHolcim Awards competition for projects and visionary concepts in sustainable construction opens for entries in mid-2019.